This post is a very quick response to comment I received recently on another article (“Children Seeing Sparkles”). It has to do with children and some young adults who have trouble controling the way they are always impacted with spirit beings or other people’s energy fields. Other people have issues with too many spirits contacting them — sometimes pestering them. Some make it seem so important to help them with some earthly task. So I have been sharing a special technique that has helped so many people in the past few years. It may seem silly, but to those that are plagued with these hyper-empathic or super-sensitive issues, it makes a major change in how they live their lives. Pick out a super hero that you resonate with. 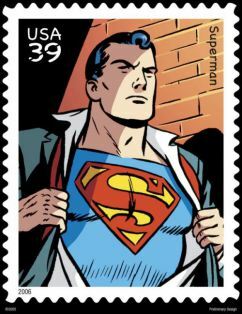 Let’s say it is Superman (my personal favorite). When you wake up in the morning, sit on the side of the bed. Have the intention of putting on a superman suit. Pretend to pull on the tights. Then the stretchy body suit, with sleeves. Snap or zip up the wrist area. Pull on tight gloves and stretchy helmut-type hat. You might even want to put on the face mask, but I don’t know that it is as important. By doing this, you are intentionally pulling your subtle bodies close to you. (again, the article on Subtle Bodies will help you understand all the details.) But the important thing is that it creates a protection and closure needed to stop connecting with outside energies. Also, lower level spirit beings will not be able to interfer with your day. They will understand that you are taking control of your own energy! Some people create variations on this technique, but I would follow this pretty close, until you feel comfortable with it and realize that there is a benefit to doing it. 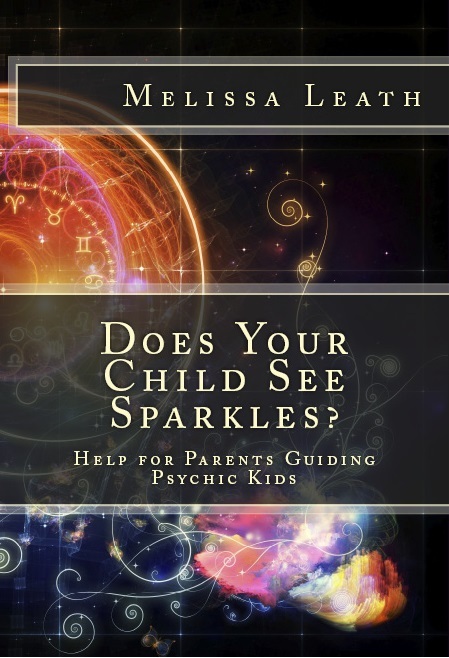 This technique and others are in my new book Guiding Psychic Kids, Does Your Child See Sparkles? that will be available in about a month. Part Two –My book about guiding psychic children. I am sharing bits and pieces of the writing of the book I will probably call Guiding Psychic Kids, Does Your Child See Sparkles? Helping Parents that Have Paranormal Families. The book actually started because of the awesome response to one blog post I had several years ago. It was a question from a mother that found me by an internet search along with the answer I gave her. She was trying to find out if her daughter was really seeing sparkles and if that was normal. One thing led to another, and here is a full blown book in the making. I believe there is a need for this information, and am blessed to be given insight by my spirit guides regarding paranormal and empathic events with children and their families. ~~Another key to raising healthy psychic children is to help them become aware of their energy, and to recognize when their finely tuned systems are ungrounded or processing the psychic stuff around them. Some simple energy tools, practiced daily, usually do the trick. Grounding~~ One of the first things to do is to have them create an image that connects their body to the center of Mother Earth. This gives kids a sense that they are rooted and plugged in during their day. This gives a feeling of being in the body (!). They have a place to send stuck or pent-up energy, instead of it bouncing off the walls. Have them create a tree trunk, a bean stalk—or any fun image that works for them—and have it come out of the bottom of their feet all the way down through the floor and deep into Mother Earth. Most of us in the modern world have forgotten our deep connection to the planet. A “grounding cord” is a good solid reminder that we are always in communication with the earth below. Having kids become aware of the energy bubble all around them is also beneficial. Their bubble—or aura—defines the space around their body and is a direct reflection of what is going on inside. If their bubble is vibrating at a color that isn’t in harmony with them at the moment, they can decide to change it if they want. They can pick a color that is fun for them and change the color for different activities. This is not only a fun game for them, but also helps them get to know their own energy. Help them appreciate that they are in control, and responsible for their own body and energy. They can also clean their bubble with a magic sponge and make their bubble bigger or smaller so it’s the right size just for them. Kids need to know how very sacred their bodies are (I call it the body temple) and how lucky they are to be here, experiencing life from the limitless wisdom of their body. But getting kids to get inside their bodies, even for just a moment, can be challenging to say the least! All kids are psychic, and you may feel a big responsibility on your shoulders just with this realization. But remember that in any case, kids are kids no matter what. Your job as a parent is simply to support them, give them love, encourage them to be who they are, and remind them often that they are much bigger than what the outside world often makes of them. The book should be ready for sale by mid-April 2013, so look for that announcement soon. Until then, you should begin by reading my book Psychic Integrity, The Respected Practice of Modern Day Mystics. I’ll be blogging soon with more excerpts and the progress of Guiding Psychic Kids!